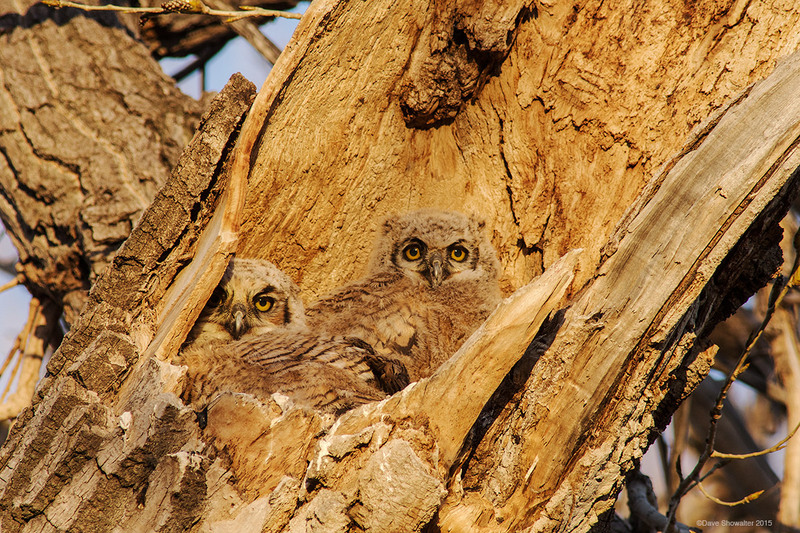 Great horned owl young are tucked in their nest site in a broken cottonwood tree. Although it looked exposed, the nest remained snow free after a heavy spring snow that could have been trouble for little owlets. When I made this image the three owlets were about two weeks from beginning to fledge, dispersing throughout the immediate area of a suburban cottonwood forest along a bike path. Photo © copyright by Dave Showalter.